In the sky and on stage, there will be plenty to see and enjoy this weekend around Hendricks County. And, as usual, the Primer is featuring all of the details you&apos;ll need to take it all in. What better way to start your weekend than enjoying a free concert? 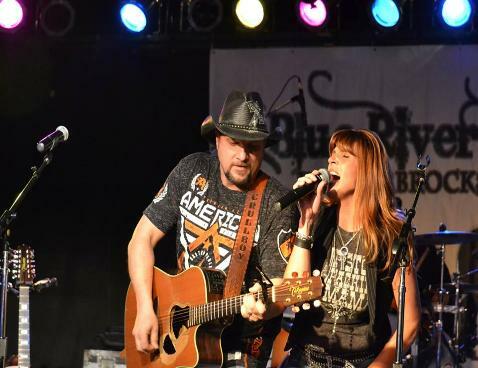 Blue River Band -- one of the best country music bands you&apos;ll find in the Midwest -- will perform from 7-9 p.m., Thursday at Arbuckle Acres Park in Brownsburg. The free concert is part of the 2015 Brownsburg Parks Summer Concert Series and Thursday&apos;s performance is sponsored by Brownsburg Meadows. In addition to the free admission, the Brownsburg Lions Club will offer a hot dog and chips for just $2 and soft drinks and water for $1 to help support its community programs. The band - featuring vocalists Chuck and Renee Crull -- will also be playing some songs from their newest CD "Doublewide". For more information about the band, check out their website. 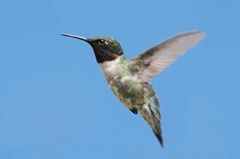 If you&apos;re one of our "local" Ruby-throated hummingbirds, this is the time of year when you pack up, so to speak, and hit what they call the migratory trail. But, before they go, there will be a free viewing on Saturday featuring this unique bird, at Sodalis Nature Park in Plainfield from 11 a.m. until 1 p.m. and at the McCloud Nature Park in nearby North Salem from 2-4 p.m. The park&apos;s naturalists will host the program, which includes a 30-minute information session followed by a trip outdoors. The events are free, no registration is required and it&apos;s a perfect event for all ages. For more information, visit the Hendricks County Parks website. Plans still up in the air? No worries...just head over to (or stay at...) McCloud Nature Park and enjoy a fascinating evening of star-gazing and participate in the park&apos;s Astronomy program. The free event will take place on Saturday beginning at 8:30 p.m., and will start with an information session led by some expert sky watchers. From there, you&apos;ll be able to peer into some of their larger telescopes, or you are welcome to bring your own. 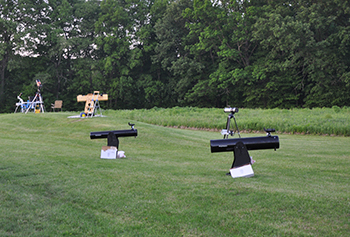 The park&apos;s naturalists, along with members of the Indiana Astronomical Society will help make sense of it all and help you identify some of the stars, planets, nebulas and various other celestial objects. There you have it...the sky, the moon, birds chirping and a country music beat you&apos;ll really enjoy. For more ideas, you can check out the Visit Hendricks County Events Calendar anytime.